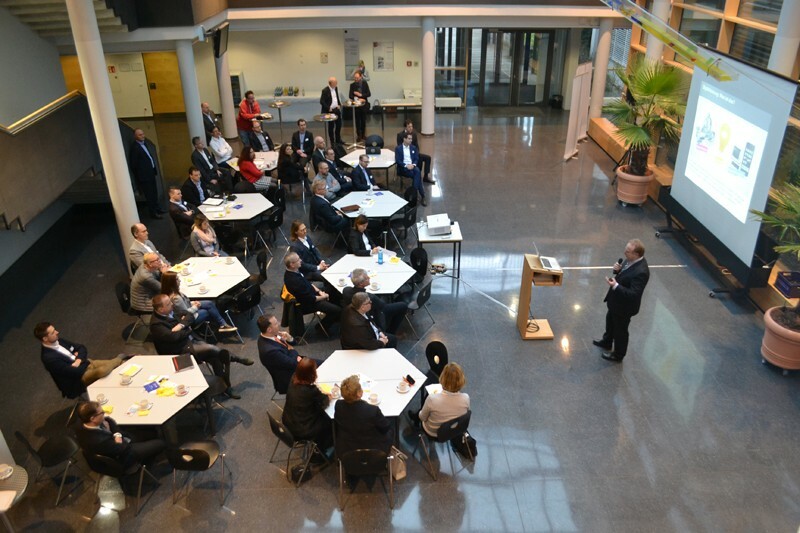 The"entrepreneur breakfast" for SMEs in Böblingen took place on 25th of January 2018. 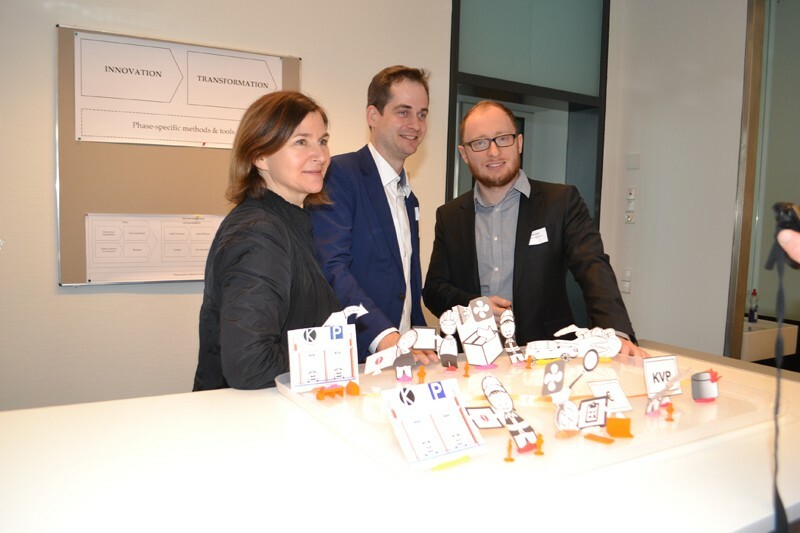 Böblingen District and Reutlingen University (HSRT) organised the breakfast in close cooperation with MFG Innovation Agency Media and Creative Industries Baden-Württemberg. The idea of the event was to inform local SMEs about the DIGITRANS project and the upcoming workshops. About 40 representatives from regional companies and business support organisations showed a lot of interest for the project. Prof. Dr. Dieter Hertweck (HSRT) explained the chances of digitalisation for SMEs and introduced the DIGITRANS project. Dr. Andrea Buchholz (MFG) presented the trainings which will start from May 2018. Also it was a great opportunity to present newly established incubator to the SMEs.